The Clean Coalition held a webinar on the Sonoma County Community Microgrid Initiative on March 8, 2018. Greg Thomson, Director of the Clean Coalition’s Community Microgrid Initiative, presented. 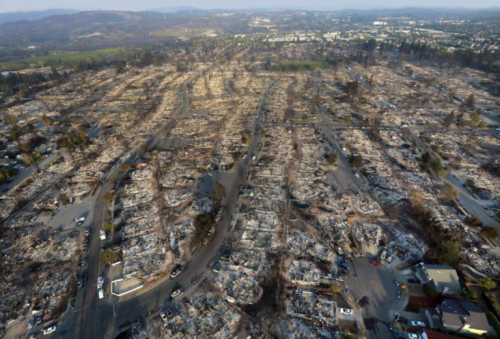 In October 2017, Sonoma County, California experienced devastating fires that destroyed thousands of homes and were predicted to cost the US economy at least $85 billion. In partnership with local and regional leadership, the Clean Coalition is helping establish a Sonoma County Community Microgrid Initiative to build a modern, resilient, and more sustainable energy system for the community. Driven from a community master-planning level, this modern energy solution covering an entire substation area will also serve as a model for communities across the country. Design homes that are safe, healthy, comfortable, durable, and low cost to operate, with optimally efficient envelopes, smart and all-electric systems, and electric vehicle charging infrastructure — all powered by clean energy. Design the grid to achieve the highest economic and technical performance, with grid modernization technologies that include ongoing backup power to critical locations. Provide the community with energy resilience, reliability, and sustainability. Create a blueprint for rebuilding disaster-destroyed areas in a timely and cost-effective manner that also maximizes economic and resilience value. The Sonoma County Community Microgrid Initiative will enable energy to become more abundant, affordable, and sustainable for Sonoma County residents. Learn more about the initiative here.